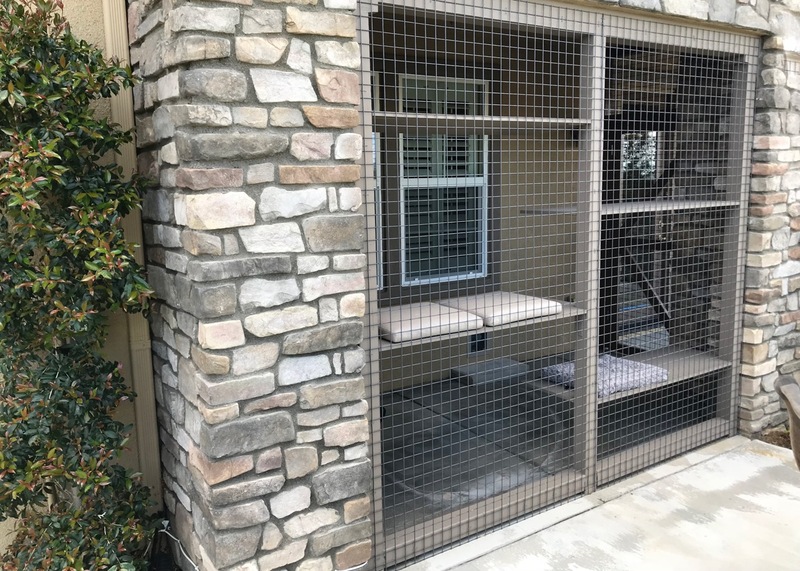 For indoor cats, a catio can be the ultimate enrichment environment—a completely enclosed, escape-proof, open-air space where cats can enjoy warm weather, observe the outdoors, and interact with each other. In some climates, a catio can be used year-round. With chilly winters or hot summers, access may be more seasonal. Costs vary: order an entire set-up online; hire a local contractor; do it yourself. Certain pets, such as cats can be quite happily left outside when you are out of the house or overnight, but you need to make sure that you have the right equipment for them. This means that you will need to think about buying or build catio cat enclosures that will shelter and protect them from the elements and give them somewhere to rest, eat and sleep. Without this, you will be putting the health and happiness of your cat at risk. Deciding which plants you will have around or in your catio outside cat enclosure is an important part of your cat enclosure plans. Since many plants can be toxic to cats I am dedicating this article to three great plants that are healthy both to humans and felines and make a great accessory for your cat cage or a safe environment surrounding your cat proof fence. Have you ever wondered why dogs and cats graze on grass? The fact is, animals need green vegetables like people do.Your pets instinctively eat greens grass to balancetheir protein-rich diets. This is why planting oat grass, wheat grass and catnip around your cat proof fence or placing a container inside your catio can make a healthy and attractive addition to your cat house. One of favorite veterinarians (see here and here), Dr. Karen Shaw Becker, has a lengthy article from January titled, “Catios – Cat Patios – Are All the Rage,” which should not be missed. It’s often recommended that cats be kept indoors to keep them safe, and it’s quite true that outdoor cats face an increased risk of injury, poisoning and human abuse and theft, as well as risks posed by wildlife, extreme temperatures, vehicle traffic and infectious agents. But keeping a cat cooped up indoors does deprive him of many joys of cat life, like watching birds go by, climbing trees, feeling the sun on his fur and experiencing beneficial grounding. If letting your cat out to roam freely is dangerous, but keeping him solely indoors runs the risk of becoming boring, what’s a viable alternative that’s growing tremendously in popularity? Build a catio! Here is a complete list of toxic and non-toxic plants to cats from the ASPCA. Earlier this year famous cats Cole and Marmalade got a new catio. According to Cosmopolitan, even minimalists can find room for a catio!